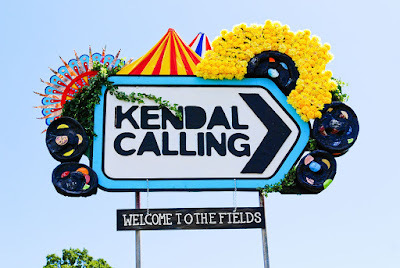 Well loved festival Kendal Calling has put out a call to artists to apply for a commission fund. Nine commissions will be offered this year, with one of the artists being offered a larger commission to perform their work at two other festivals. Over the last two years, Lost Eden has commissioned a variety of brand new artworks, including the Mechanical Heart by Felicity Jones and the Umbrella Tree by Tim Hill and Dave Young (Rag and Bone). In 2017, nine commissions will be offered. Of these one artist will be offered a larger commission to tour their work to an additional 2 major boutique music festivals. Lost Eden at Kendal Calling is produced in partnership with Walk the Plank. A panel made up of Walk the Plank and Kendal Calling representatives will shortlist and select applicants. In their proposals, successful applicants will have demonstrated good value for money, artistic excellence, understanding of logistical and production and plans for sustainable working practices. Successful applicants will receive funding to create and install their work, and will be promoted in the 2017 Lost Eden launch and arts programme. All commissions are subject to securing Arts Council funding in 2017 (a bid is currently in place). For more information, visit the Kendal Calling website.